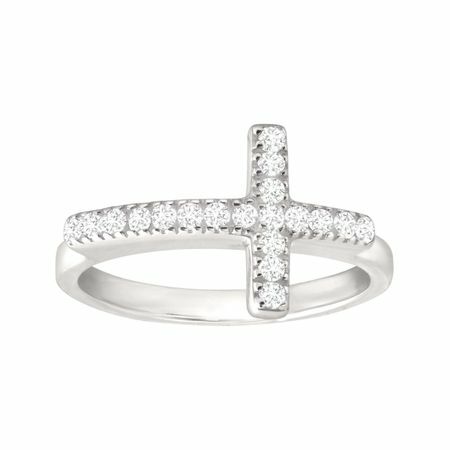 The Reverence Ring features a sterling silver band and a horizontal cross across the top of the band in cubic zirconia. Ring face measures 1/2 inches in width. Piece comes with a “.925” sterling silver stamp as a symbol of guaranteed product quality.